The 2017 Green Challenge Film Fest, a collaboration of Oaklyn Green Team, Sustainable Collingswood and GMO Free NJ, aims to inspire community members into meaningful action by offering an optional green challenge with each film. 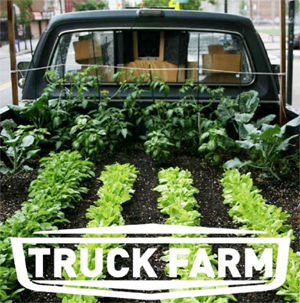 Movie: A simple concept with a big impact, Truck Farm is a mini-farm planted in the back of a 1986 Dodge pickup truck. Traveling and edible, the truck is a rural experience brought to urban New York City. With fresh produce delivered periodically around the neighborhood, Truck Farm teaches an imperative lesson about the importance and accessibility of urban agriculture. Speaker: After the film we will hear from local farmer Julie Pierre. She is from Our Yard Farms. She will have organic seedlings for sale. Free and open to the public. There will be a door prize. While the event is free and open to the public, we ask that you register for the event.